This message is to remind you that the FOIA Council will meet at 10:30 AM on Wednesday, May 4, 2016, in House Room C of the General Assembly Building (GAB), 201 N. 9th Street, Richmond, Virginia 23219. The agenda for this meeting is attached. Please note that the Council plans to consider and act on several drafts that have been recommended by the Records and Meetings Subcommittees as part of the three-year FOIA study directed by House Joint Resolution No. 96 (2014). Those drafts are posted on the Council website Meeting Schedule page at http://foiacouncil.dls.virginia.gov/meetings.htm. As decided previously, after the conclusion of the study this year, the Council intends to recommend omnibus legislation to the 2017 Session of the General Assembly. Individual recommendations for amendments to FOIA will be incorporated into the final omnibus legislation. Due to the large number of drafts, we ask that you please read them and prepare any comments or suggestions in advance. Additionally, the Meetings Subcommittee will meet at 1:30 PM the same day in the Speaker's Conference Room, Sixth Floor, GAB. The agenda for that meeting is also attached. If you have any questions or need additional information, please do not hesitate to contact me or Maria J.K. Everett, Executive Director. BREAKING: Delegates being "Watched" in Indiana Robert -- I don't have much time to explain. In case you missed Ken's email yesterday, there's already been a huge response to our Delegate Defense HOTLINE. Robert -- I don't have much time to explain. In case you missed Ken's email yesterday, there's already been a huge response to our Delegate Defense HOTLINE. Robert, I need your help to defend delegates from this intimidation that is beneath the office for which Donald Trump seeks. You see: Donald Trump has a consistent pattern of inciting violence. This election is unlike any we've ever seen...the future of our nation is at stake and tensions are high. So, we have no choice but to take these threats seriously. Please if you have any information -- call the Delegate Defense HOTLINE at (832)-290-7368 to report any harassment or potential attacks. And even more importantly, due to the overwhelming response will you please stop and chip in $50 or $35 in the next 24 hours to help us keep the line open!? I wish I could go into more detail, but I can't -- to keep from further endangering the identity and safety of the threatened delegates. Robert, instead of playing by the rules, Donald Trump and his goon squad have decided their best path to power is to intimidate opponents and harass our delegates. Will you join me today to ensure we put an end to Donald's bullying style politics? Those of us who play by the rules, stick to our principles, and fight hard to defend liberty and freedom do not deserve to be attacked by Donald Trump and his henchmen. That's why I'm counting on you to help me protect our delegates from these unseemly threats. * CHAIRMAN'S REPORT - NOVA GOP PAC "DERBY DAY" FUNDRAISER - MAY 7 - Please join us Saturday, May 7th from 5:30-7 PM for our 16th Annual Kentucky Derby Day Fundraiser. No matter which horse wins the race, your financial support will help us with our anti-tax efforts and winning the race this November! You can be on the Host Committee as a "Sponsor" of the event for as little as $100 which includes 2 tickets to the event! Please also consider joining the Host Committee at the higher levels, such as Patron ($250-5 tickets), Benefactor ($500-10 tickets) or Co-Host ($1,000-20 tickets). You can donate online at https://www.campaigncontribution.com/contribution.asp?id=1556&jid= or by mailing a check to NorthernVirginiaGOP.com, 13680 Bent Tree Circle, #403, Centreville, VA 20121. For more information, call (703) 502-0161. 4/25 - Prince William County GOP Committee Meeting - 7:30 PM, Piney Branch Elementary School, 8301 Linton Hall Road, Bristow. Call: (703) 680-7388. 4/26 - Fairfax County GOP Committee Volunteer Appreciation Dinner - 6:30-8:30 PM, P.J. Skidoos, 9908 Fairfax Boulevard, Fairfax. $25. Call: (703) 766-4GOP. 4/28 - Alexandria Commonwealth Republican Women's Club 55th Anniversary Membership Reception - 7-9 PM, Alexandria Lyceum History Museum, 201 S. Washington, Street, Alexandria. Call: (202) 262-8253. 4/28 - Ronald Reagan Lecture Series w/Steven Sutton, Vice President of Development, the Leadership Institute - 7:30-9 PM, Embassy Suites, 44610 Waxpool Road, Ashburn. 4/29-4/30 - Virginia Republican State Convention - James Madison University Convocation Center, 895 University Boulevard, Harrisonburg. For preregistration information and rules, call (804) 780-0111. 5/3 - Election Day for City and Town Offices - To help the GOP, call (804) 780-0111. 5/5 - Alexandria GOP Committee Meeting - 7:30 PM, Minnie Howard School, 3801 W. Braddock Road, Alexandria. Call: (571) 281-7042. 5/7 - 1st Congressional District Republican Convention - James Monroe High School, 2300 Washington Avenue, Fredericksburg. For preregistration information and rules, call (804) 780-0111. 5/7 - 8th Congressional District Republican Convention - Kenmore Middle School, 200 S. Carlin Springs Road, Arlington. For preregistration information and rules, call (804) 780-0111. 5/7 - "Road to Richmond" Political Roundtable - 10:30-11:30 AM, NOVA GOP PAC Chairman James Parmelee debates Dems live on Fairfax Cox Cable Channel 10. Also airs tape delayed on other stations across NOVA. 5/7 - NOVA GOP TV Taping - for more information, call (703) 502-0161. 5/7 - 16th Annual NOVA GOP PAC Kentucky Derby Day Fundraiser - 5:30-7 PM, The Front Page - Arlington, 4201 Wilson Boulevard, Arlington. Call: (703) 502-0161. 5/14 - 5th Congressional District Republican Convention - For preregistration information and rules, call (804) 780-0111. 5/14 - 11th Congressional District Republican Convention - Centreville High School, 6001 Union Mill Road, Clifton. For preregistration information and rules, call (804) 780-0111. 5/18 - Fairfax County GOP Committee Capitol Hill Fundraiser w/Speaker Paul Ryan & Rep. Barbara Comstock (VA-10) - 6-8 PM, Capitol Hill Club, 300 First Street, SE, Washington DC. $55. Call: (703) 766-4GOP. 5/18 - Republican Women of Clifton Meeting - 7-9 PM, Fairview Elementary School, 5815 Ox Road, Fairfax Station. 5/19 - Liberty Republican Women's Club Meeting - 7 PM, Sully Government Center, 4900 Stonecroft Boulevard, Chantilly. 5/21 - McLean Day - 11 AM-5 PM, Lewinsville Park, 1659 Chain Bridge Road, McLean. Volunteers needed for the GOP booth. 5/24 - Fairfax County GOP Committee Meeting - Call: (703) 766-GOP. 5/25 - Arlington County GOP Committee Meeting - 7:30 PM, NRECA Center, 4301 Wilson Boulevard, Arlington. Call: (703) 685-2488. 6/4 - "Road to Richmond" Political Roundtable - 10:30-11:30 AM, NOVA GOP PAC Chairman James Parmelee debates Dems live on Fairfax Cox Cable Channel 10. Also airs tape delayed on other stations across NOVA. 6/4 - NOVA GOP TV Taping - for more information, call (703) 502-0161. 6/9 - Alexandria GOP Committee Meeting - 7:30 PM, Minnie Howard School, 3801 W. Braddock Road, Alexandria. Call: (571) 281-7042. 6/9-6/11 - Faith and Freedom Coalition Road to Majority Conference - Omni Shoreham Hotel, 2500 Calvert Street, NW, Washington, DC. Call: (770) 622-1501. 6/14 - Primary Day (Non-Presidential) - 6 AM-7 PM, at regular polling places for any contested GOP nominations in districts holding a primary. Call: (804) 780-0111. 6/15 - Republican Women of Clifton Meeting - 7-9 PM, Fairview Elementary School, 5815 Ox Road, Fairfax Station. 6/16 - Liberty Republican Women's Club Meeting - 7 PM, Sully Government Center, 4900 Stonecroft Boulevard, Chantilly. 6/22 - Arlington County GOP Committee Meeting - 7:30 PM, NRECA Center, 4301 Wilson Boulevard, Arlington. Call: (703) 685-2488. 7/2 - "Road to Richmond" Political Roundtable - 10:30-11:30 AM, NOVA GOP PAC Chairman James Parmelee debates Dems live on Fairfax Cox Cable Channel 10. Also airs tape delayed on other stations across NOVA. 7/2 - NOVA GOP TV Taping - for more information, call (703) 502-0161. 7/4 - The Leadership Institute's Conservative Soirée - Bull Run Regional Park, Centreville. Call: (703) 247-2000. 7/7 - Alexandria GOP Committee Meeting - 7:30 PM, Minnie Howard School, 3801 W. Braddock Road, Alexandria. Call: (571) 281-7042. 7/9 - USA & Alexandria Birthday Celebration - 7 PM (fireworks 9:30 PM), Oronoco Bay Park, 100 Madison Street, Alexandria. To volunteer at the Alexandria GOP booth, call (571) 969-4467. 7/13-7/16 - Fauquier County Fair - Fauquier County Fairgrounds, 6209 Old Auburn Road, Warrenton. Volunteers needed at the GOP booth. Call: (540) 729-0265. 7/18-7/21 - Republican National Convention - Quicken Loans Arena, 1 Center Court, Cleveland, OH. Call: (202) 863-8500. 7/20 - Arlington County GOP Committee Meeting - 7:30 PM, NRECA Center, 4301 Wilson Boulevard, Arlington. Call: (703) 685-2488. 8/4 - Alexandria GOP Committee Meeting - 7:30 PM, Minnie Howard School, 3801 W. Braddock Road, Alexandria. Call: (571) 281-7042. 8/6 - "Road to Richmond" Political Roundtable - 10:30-11:30 AM, NOVA GOP PAC Chairman James Parmelee debates Dems live on Fairfax Cox Cable Channel 10. Also airs tape delayed on other stations across NOVA. 8/6 - NOVA GOP TV Taping - for more information, call (703) 502-0161. 8/13 - Alexandria Irish Festival - noon-7 PM, Waterfront Park, 1A Prince Street, Alexandria. To volunteer at the GOP booth please call (571) 969-4467. 8/14-8/20 - Clarke County Fair - Clarke County Fair Grounds, 890 West Main Street, Berryville. Volunteers needed at the GOP booth. Call: (540) 247-1501. 8/17-8/21 - Arlington County Fair - Thomas Jefferson Community Center, 3501 S. 2nd Street. To volunteer at the Arlington GOP booth please call (703) 685-2488. 8/24 - Arlington County GOP Committee Meeting - 7:30 PM, NRECA Center, 4301 Wilson Boulevard, Arlington. Call: (703) 685-2488. 9/1 - Alexandria GOP Committee Meeting - 7:30 PM, Minnie Howard School, 3801 W. Braddock Road, Alexandria. Call: (571) 281-7042. 9/3 - "Road to Richmond" Political Roundtable - 10:30-11:30 AM, NOVA GOP PAC Chairman James Parmelee debates Dems live on Fairfax Cox Cable Channel 10. Also airs tape delayed on other stations across NOVA. 9/3 - NOVA GOP TV Taping - for more information, call (703) 502-0161. 9/6 - Arlington Civic Federation Candidates Night Debate - 7:30-9:30 PM, Virginia Hospital Center, 1701 N. George Mason Drive, Arlington. Call: (703) 685-2488. 9/10-9/11 - Burke Centre Festival - Burke Centre Conservancy Festival Grounds, 6060 Burke Centre Parkway. Volunteers needed at the GOP booth. Call: (703) 766-4GOP. 9/15 - Liberty Republican Women's Club Meeting - 7 PM, Sully Government Center, 4900 Stonecroft Boulevard, Chantilly. 9/17 - Haymarket Day - Volunteers needed for the Prince William County GOP. Call: (703) 680-7388. 9/21 - Republican Women of Clifton Meeting - 7-9 PM, Fairview Elementary School, 5815 Ox Road, Fairfax Station. 9/21 - Arlington County GOP Committee Meeting - 7:30 PM, NRECA Center, 4301 Wilson Boulevard, Arlington. Call: (703) 685-2488. 9/TBA - 20th Annual NOVA GOP PAC Monday Night Football Fundraiser - 8-11 PM, location TBA. Call: (703) 502-0161. 9/26 - Presidential Debate - Wright State University, Dayton, OH. 10/1 - "Road to Richmond" Political Roundtable - 10:30-11:30 AM, NOVA GOP PAC Chairman James Parmelee debates Dems live on Fairfax Cox Cable Channel 10. Also airs tape delayed on other stations across NOVA. 10/1 - NOVA GOP TV Taping - for more information, call (703) 502-0161. 10/4 - Vice Presidential Debate - Longwood University, Farmville, VA.
10/6 - Alexandria GOP Committee Meeting - 7:30 PM, Minnie Howard School, 3801 W. Braddock Road, Alexandria. Call: (571) 281-7042. 10/9 - Presidential Debate - Washington University, St. Louis, MO. 10/19 - Presidential Debate - University of Nevada, Las Vegas, NV. 10/19 - Republican Women of Clifton Meeting - 7-9 PM, Fairview Elementary School, 5815 Ox Road, Fairfax Station. 10/20 - Liberty Republican Women's Club Meeting - 7 PM, Sully Government Center, 4900 Stonecroft Boulevard, Chantilly. 10/22 - Annandale Fall Festival Parade - to march in the parade with the GOP float, call (703) 766-4467. 10/26 - 70th Annual Vienna Halloween Parade - Marching w/GOP local candidates & more - Call: (703) 766-4GOP. 11/3 - Alexandria GOP Committee Meeting - 7:30 PM, Minnie Howard School, 3801 W. Braddock Road, Alexandria. Call: (571) 281-7042. 11/5 - "Road to Richmond" Political Roundtable - 10:30-11:30 AM, NOVA GOP PAC Chairman James Parmelee debates Dems live on Fairfax Cox Cable Channel 10. Also airs tape delayed on other stations across NOVA. 11/5 - NOVA GOP TV Taping - for more information, call (703) 502-0161. 11/8 - Election Day - 6 AM-7 PM, Please don't forget to vote! 11/16 - Republican Women of Clifton Meeting - 7-9 PM, Fairview Elementary School, 5815 Ox Road, Fairfax Station. 11/16 - Arlington County GOP Committee Meeting - 7:30 PM, NRECA Center, 4301 Wilson Boulevard, Arlington. Call: (703) 685-2488. 11/17 - Liberty Republican Women's Club Meeting - 7 PM, Sully Government Center, 4900 Stonecroft Boulevard, Chantilly. 12/1 - Alexandria GOP Committee Meeting - 7:30 PM, Minnie Howard School, 3801 W. Braddock Road, Alexandria. Call: (571) 281-7042. 12/3 - "Road to Richmond" Political Roundtable - 10:30-11:30 AM, NOVA GOP PAC Chairman James Parmelee debates Dems live on Fairfax Cox Cable Channel 10. Also airs tape delayed on other stations across NOVA. 12/3 - NOVA GOP TV Taping - for more information, call (703) 502-0161. 12/15 - Liberty Republican Women's Club Meeting - 7 PM, Sully Government Center, 4900 Stonecroft Boulevard, Chantilly. 1/11 - Virginia General Assembly Convenes - Richmond. 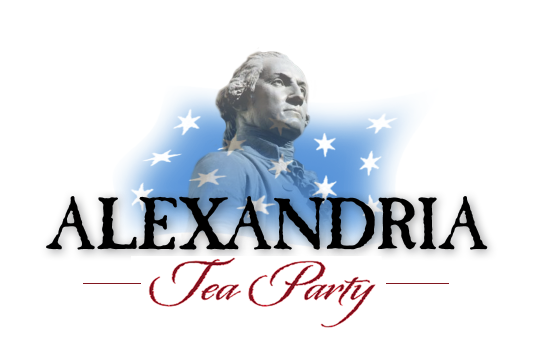 2/20 - Alexandria George Washington Birthday Parade - 1-3 PM, to march with the Alexandria GOP, please meet at Noon at the staging area, for details please call (703) 823-1801. 2/22-2/25 - 44th Annual Conservative Political Action Conference (CPAC) - Gaylord National Resort & Convention Center, 201 Waterfront Street, National Harbor, MD. Call: (202) 347-9388. 3/4 - Alexandria St. Patrick's Day Parade - Noon-2 PM, to march with the Alexandria GOP, please meet at Noon at the staging area, for details please call (703) 823-1801. Che Guevara: Castro's Executioner (video) - "I really like killing"
Through meticulous research, James Simpson details the networks of radical leftist groups, foundations, and government agencies who are using refugee resettlement to "fundamentally transform" America. In his book the 'Red-Green Axis' Jim describes groups such as the Muslim Brotherhood, the Black Lives Matter movement, and a collection of communists, leftists, progressives and socialists. Groups whose sole unifying objective is to bring down the U.S. government. This is an offensive to erase American laws, traditions and culture, and replace them with a pliable, multi-cultural society. A resettlement process of not just wealth, but population and land. This is social engineering, income redistribution, and population control on steriods. Mr. Simpson proceeds to show how this plan is being inexorably advanced by today's secretive and unaccountable federal refugee resettlement programs - operations that have brought nearly 2 million refugees to this country since September 11, 2001. Some of the top U.S. and international liberal foundations are funding these resettlement efforts. The feds are paying resettlement contractors $1 billion annually in federal tax dollars to do the work. The costs to the American people in welfare benefits to refugees have been conservatively estimated at $10 billion per year. This is the "process of settlement" suicide by our own hands described in "The Explanatory Memorandum of the Group" - the Muslim Brotherhood found during an FBI raid on a Brotherhood house in Annandale, VA. Through the efforts of Jim and others such as Ann Corcoran in MD who run the Refugee Resettlement Watch people are beginning to ask questions. The name for communities where people are beginning to ask questions are being called "pockets of resistance" by federal agencies. As recently as Tuesday, the Tennessee General Assembly voted to sue the feds over the refugee resettlement. In South Carolina, the legislature is working on a bill that would put responsibility on those agencies which resettle refugees for acts of a criminal nature that might be perpetrated by refugees they place in the state. Refugee and the topic of immigration is one of the largest issues facing our country. It is the main topic of all conversations during this election cycle. Come hear and learn what you need to know to engage others who need to know what is going on. Most important learn what you can do in your community as a citizen activist to help. James Simpson is an investigative journalist, businessman and former economist and budget examiner for the White House Office of Management and Budget. Mr. Simpson's work is published at AIM.org, American Thinker, Breitbart, Capital Research Center, Washington Times, WorldNet Daily and elsewhere. He is also featured in Curtis Bowers' award winning documentary Agenda: Grinding America Down. Important Note: Attendance at ACT Nova events requires an RSVP in advance. First time prospective non-member attendees must receive an e-mail confirmation from ACT Nova indicating that seating will be available. In addition, a government-issued ID that matches your name on the confirmed attendee list must be presented at the door for admission. Audio or visual recording, without permission from ACT Nova, the event organizer and the speaker(s) is strictly prohibited. We are a private organization and all attendees are guests of the ACT Nova Chapter. Mr. Sutton has repeatedly been voted as the #1 presenter at the Leadership Institute's training courses. Join us for an interactive forum with Mr. Sutton on how best to communicate conservative values persuasively with friends, neighbors, and political opponents using sinning arguments. Sutton will draw on nearly 15 years of his own political and campaign experience to offer the "Do's and Dont's" of political discourse. Bring your questions to try to stump Mr. Sutton! and Expand your own political vocabulary. and take back the public square! This segment is only the tip of the iceberg of the infiltration of our government. Click the link below to DONATE NOW! HELP MAKE "THE ENEMIES WITHIN"
The U.S. is on the verge of giving up oversight of the Internet's domain name system, risking foreign powers like China or Russia attempting to gain control over the Internet and censor it. Fortunately, for the past two years, Congress has prohibited the Commerce Department from using any funds carry out any transition control of the Internet's domain name system functions to the private Internet Corporation of Assigned Names and Numbers (ICANN). ATP Disclaimer - This survey looks legitimate but we did not exhaustively research it. If you have a concern, please let us know. I am part of a research team based at a German university which is looking at the different motivation patterns of political movements. The TP is interesting for us as a conservative, value-motivated group that has strongly resonated with substantial parts of society and has grown substantially in a relatively short period of time. Thanks to conversations with several TP activists in the Sacramento area, we have meanwhile assembled a questionnaire for a survey. We would now like to broaden our sample by including Virginia as a state of central importance for the TP movement. Would it be possible to forward the message below to TP supporters? We are looking forward to the results of this study and would be happy to share them with you. In the context of an international research project, we are surveying the motivations for becoming involved in politics. While there are numerous reports in the media about the Tea Party, we are interested in first-hand information from supporters of the Tea Party themselves. We want to learn more about what motivates citizens to become involved in politics and be willing to invest their time in the service of a higher cause. We are also interested in their positive as well as negative experiences and relationships with other groups in society. We would additionally like to investigate which political conditions are satisfying versus frustrating for citizens who want to have their voice heard. We appreciate you taking the time to share your views on this important issue. Your responses will be kept completely anonymous and confidential. As a thank you for your participation, one person can win $200, another three people can win $100, and ten people can win $50. All participants who complete the survey will be given the opportunity to participate in the lottery. Winners will be notified by email when data collection is completed. On May 3rd, the State of Indiana will be voting to distribute 57 delegates. Indiana distributes its delegates Congressional District by Congressional District. If we are going to win the state of Indiana, we need your help in Indianapolis. Indianapolis is centrally located and provides quick access to 5 different Congressional Districts. Hardly a week has gone by that there is not some article in the media about Ted Cruz superior ground game. Camp Cruz and the Cruz delegate operation are the two main examples cited by the media when describing the superiority of the Cruz ground game. Your work has made that happen. We need you again. The Camp Cruz venue in Indianapolis is a local Christian camp, thus putting the “Camp” in Camp Cruz. Volunteers are needed beginning Friday, April 22 through the primary on May 3, checking out on May 4. Lodging will be in large dorm rooms with bunk beds. But don’t worry, no one will be asked to sleep in an upper bunk if such a sleeping arrangement is uncomfortable for you. Volunteers will need to bring their own shower soap, towels, pillow, and twin-size sheets and blankets (or sleeping bag). There will be separate dorm rooms for men and women. If you are interested in joining the Indianapolis Strike Force at Camp Cruz, please sign up here. If you are interested in being a member of the Cruz Strike Force in Indiana but want to provide for your own accommodations, we’d love to have you. Please respond here as soon as possible.